Law Offices of Crawford and Associates PLLC - Here To Serve YOU! At Crawford & Associates, we pledge to treat you with the courtesy, professionalism and responsiveness that you deserve. We are dedicated to help those who are often denied equal access to the justice system due to the high cost of legal fees. 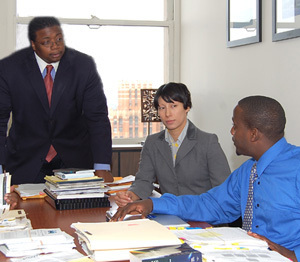 We are committed to fighting for your legal rights, because we believe “You are worth fighting for!” When you need legal representation, call Crawford & Associates at (313) 963-0999 and let our strong, dynamic and relentless team go to work for you!